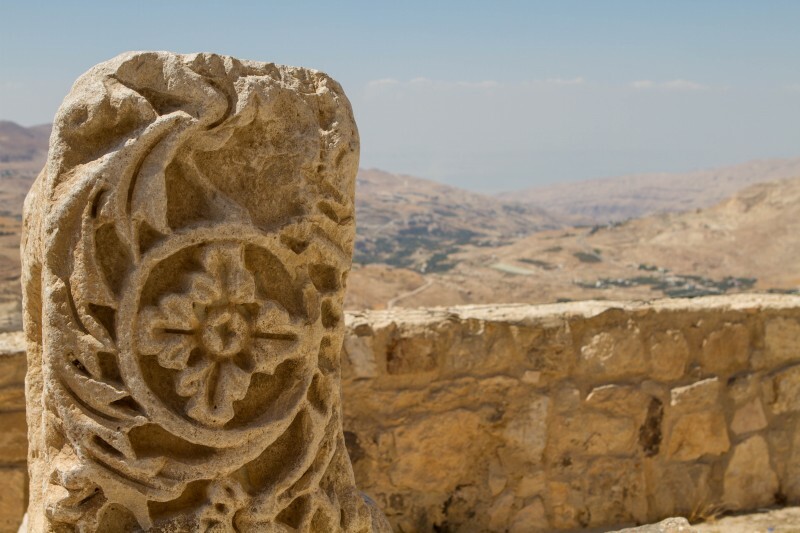 Our first day in Jordan gave us time to settle ourselves and witness the ruins of Umm Qais and Jerash. On our second day, we were headed to Wadi Musa, home of Petra, the main reason Jordan found it’s way on to our bucket list. 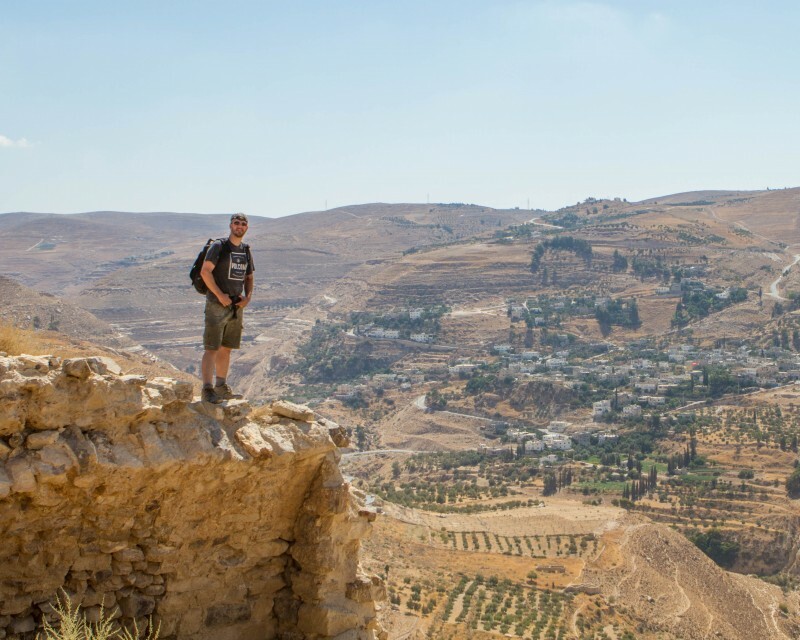 Our first stop on the King’s Highway journey from Amman to Petra were the Biblical sites of Mt. Nebo and Madaba. 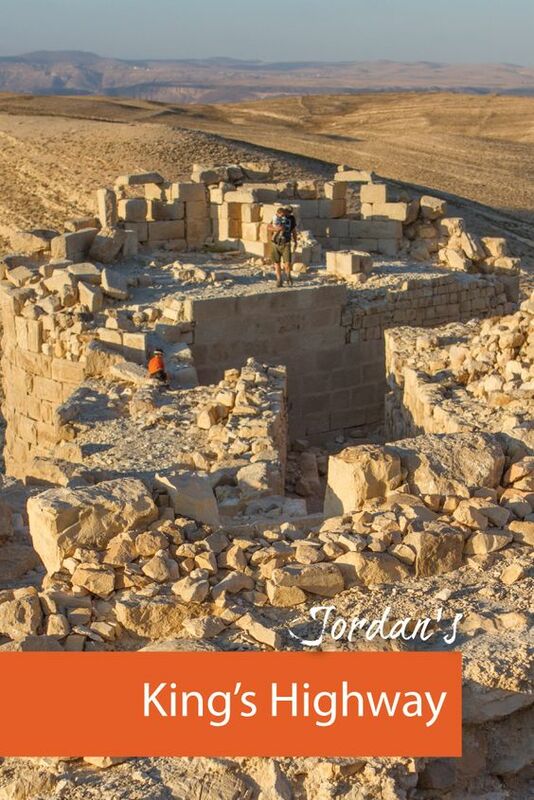 The sites are only 8km from each other and Madaba is approximately 25km from Amman. Mt. 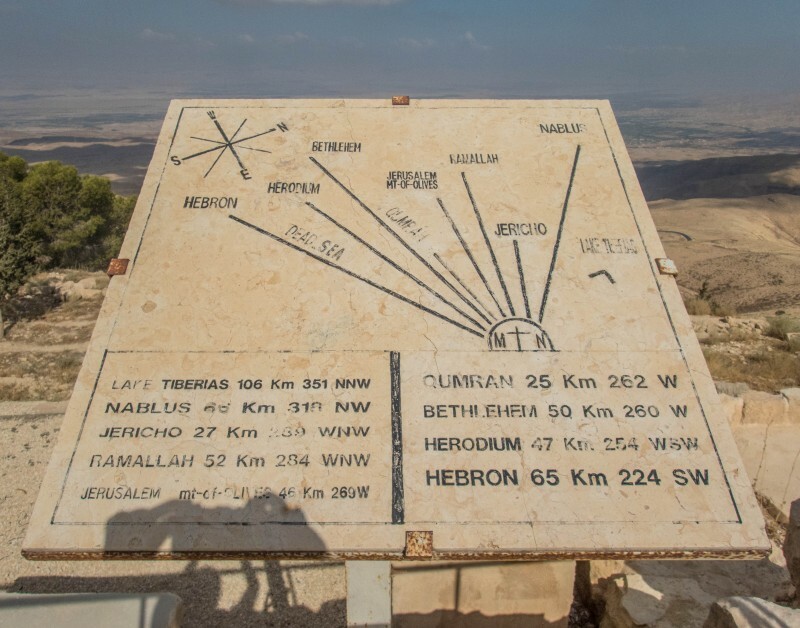 Nebo is an important pilgrimage site for both Christians and Muslims. From the entrance it is only a few hundred meters to the commemorative stone erected in 2000 to mark Pope John Paul II’s visit. The mountain is where Moses is believed to have first glimpsed the promised land approximately 3000 years ago. He later returned only to die before entering the Promised Land. He is believed to be buried somewhere in the area but the exact location is not known. The Memorial Church of Moses was under construction at the time of our visit but we were able to view part of the original mosaic floor that is undergoing restoration in a nearby tent. A viewing platform on the far side of the church has a sign which indicates the various sites visible from the mountain. After our short visit to Mt. Nebo, we were off for a quick drive to the city of Madaba, also known as the “City of Mosaics”. 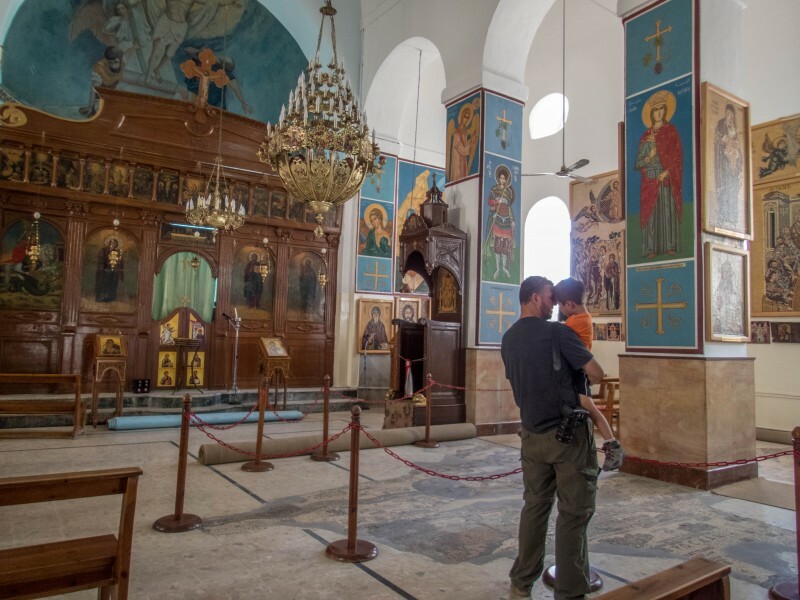 The highlight for many visitors is found in the Greek Orthodox Church of St. George, which has preserved the original piece of Byzantine-era mosaic map of the “Holy Land” from the 6th century on its floor. 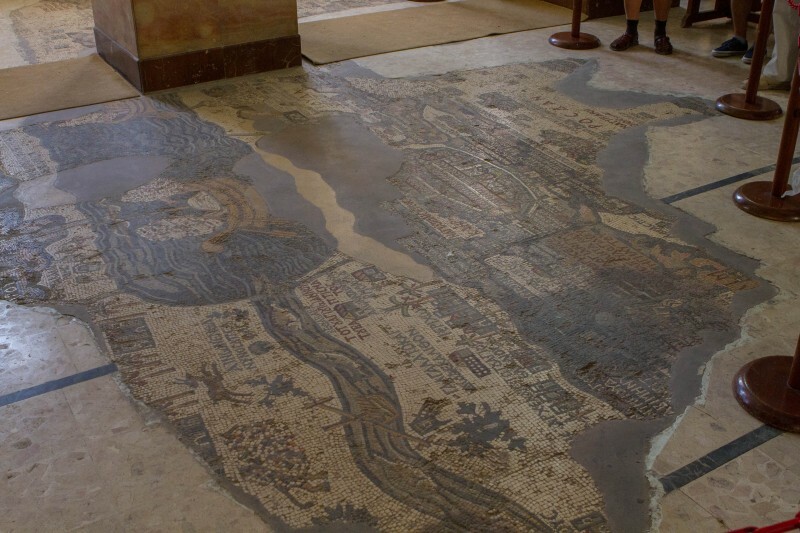 This 25×5 sqm map in front of the altar depicts some important details of that time, like hills and valleys, villages and towns such as Jerusalem and other holy sites. The church itself is small but a wonderfully vivid and colourful place with many other mosaic wall-hangings and religious paintings. 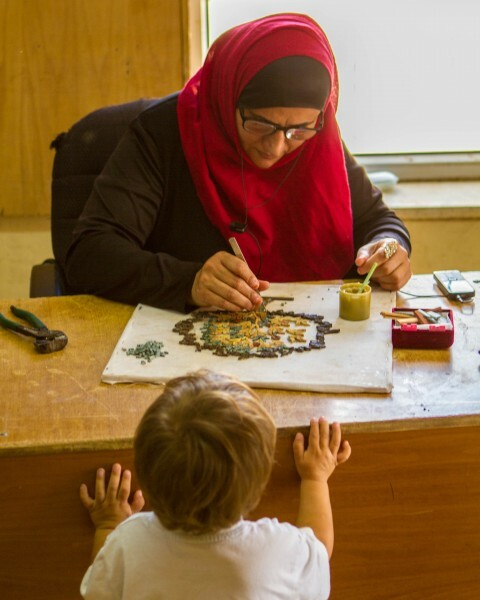 The art of mosaic making still lives on in the town of Madaba. 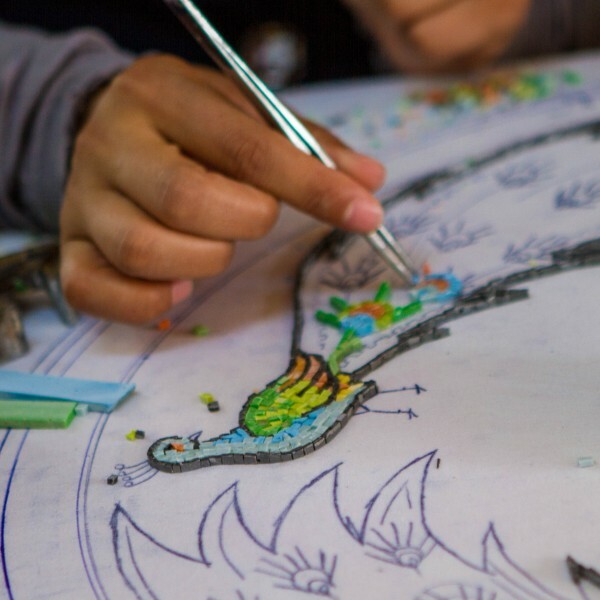 Shortly after leaving St. George, we stopped at a co-operative store where we were able to watch local women create beautiful mosaic pieces. The technique starts by drawing a design on a muslin cloth. The artists then cut and carefully adhere the stones to the cloth using a flour and water mixture. After all the stones are set, the mosaic will be laid face down on a piece of wood with cement. The cloth will then be removed and the mosaic will be washed and shellacked. 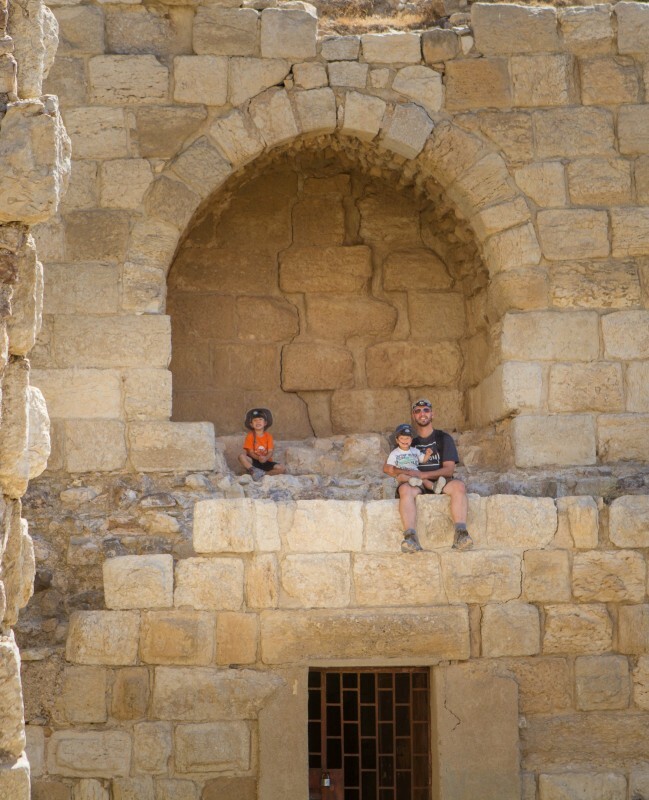 Rejuvenated by the promise of a visit to another castle, the children excitedly entered the van and off we drove further south on the King’s Highway. After about two hours on the road, we had our first glimpse of the imposing Karak Castle (also known as Crak des Moabites, or Le Pierre du Desert to the Crusaders). With its location on the King’s Highway, the Crusaders were able to control both north and south traffic by imposing road tolls until Muslim armies took the castle in 1183. Mamluk sultan Beybars took it in 1263; and then an earthquake occurred, creating a lot of damage in 1293. The castle was re-introduced to the western world by Johann Ludwig Burckhardt, the same explorer who helped rediscover Petra. The walk on the bridge was very windy. Upon entering via an entrance on the North Wall we were immediately greeted by cement balls that were used as arsenal in catapults. Immediately to our left was a map which helped us get our bearings. At the time of our visit the Museum was closed so we proceeded to explore the Crusader Gallery. The Crusader Gallery functioned as the horse stables of Karak Castle. 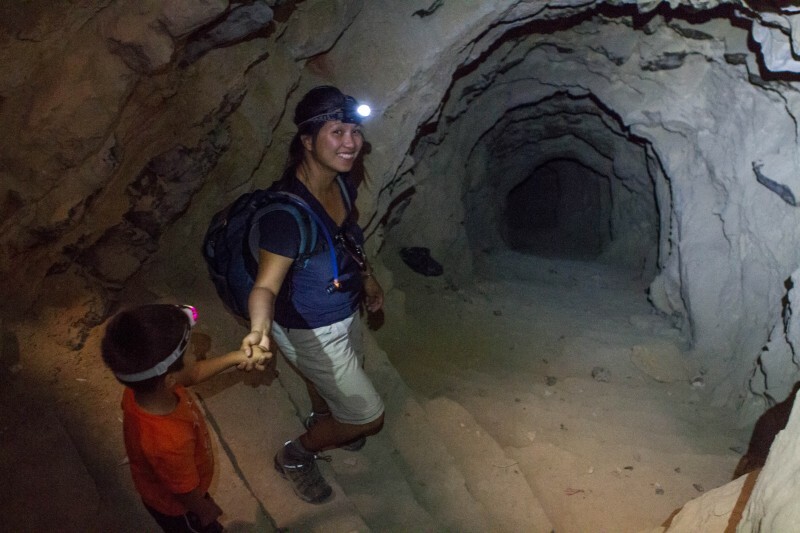 There were a lot of rooms to explore and a flashlight or headlamp is definitely a must. The children were drawn to the long passageway which then led to the Soldier’s Barracks and Kitchen. 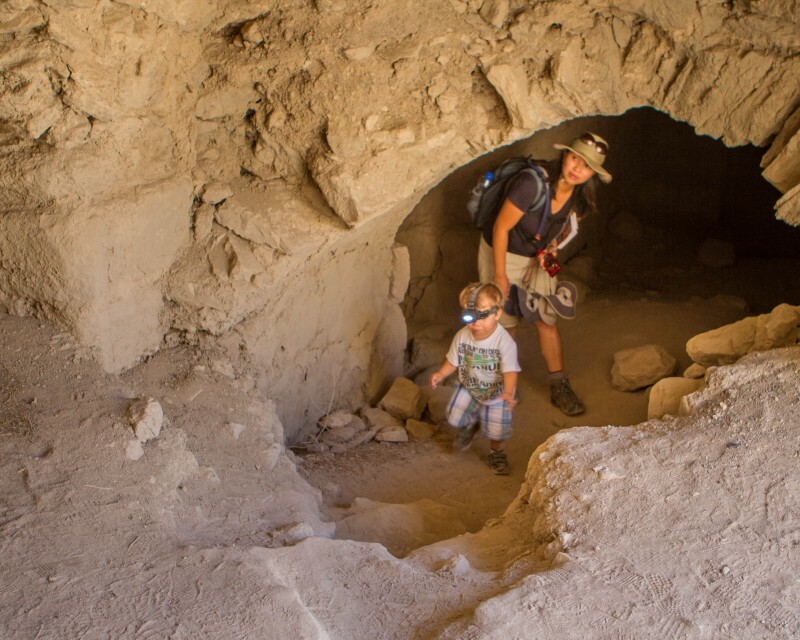 At the end of the tunnel, we were wandered into the Upper Court of Karak castle. The area was largely overgrown and much of it still needed to be excavated. From here we were able to explore the Mamluk Keep. The Keep is said to have 6.5m walls, the strongest defense in the castle. A staircase from the Keep leads to the Mamluk Palace and Mosque. Access to the Crusader Church is also from the Upper Court. The arrow slits in the walls of the sacristy suggested that the walls were originally part of the castle’s outer walls. From the Church off we went to explore the Prison and the Marketplace. At the end of the market, a path led us back to the entrance. After the castle visit, we hungrily ate our overdue lunch at a restaurant nearby. The rest of the drive south of the highway was very quiet as both C and D took much-needed naps. After two hours, both woke up just in time to see the gate of our next adventure, Shobak castle. 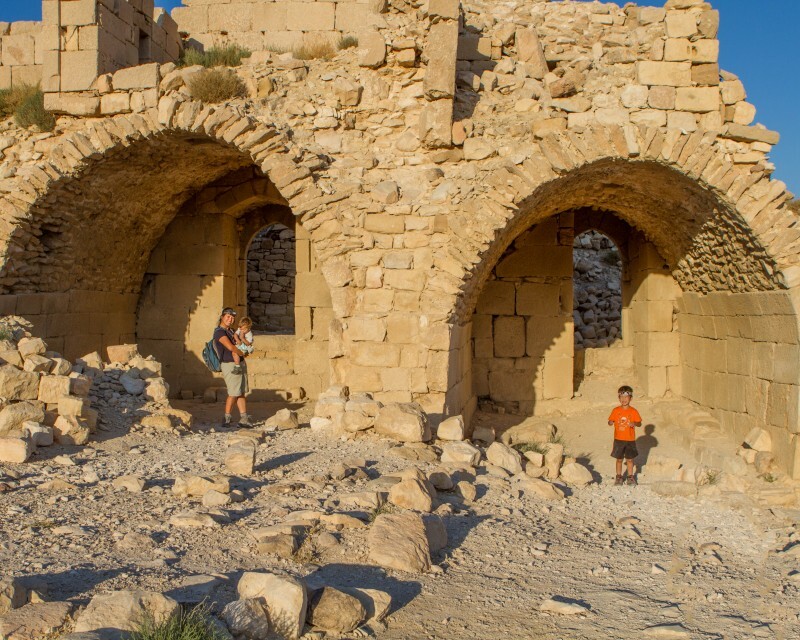 Shobak castle was built by Crusader King Baldwin I in AD 1115. It is also known as Mont Real or Montreal with the original name being Mons Realis (the Royal Mountain in French). Although not as large as Karak, it was actually the main Crusader castle for 30 years and was the first Crusader castle built in Jordan. After walking up a few metres from the entrance we were immediately greeted by a mysterious set of steps that beckoned to be explored. After rounding the first corner, it was obvious we would need to put on our headlamps. After two corners and having the tunnel narrow and steps almost disappear in front of our eyes, we decided it was probably wise to head back up. 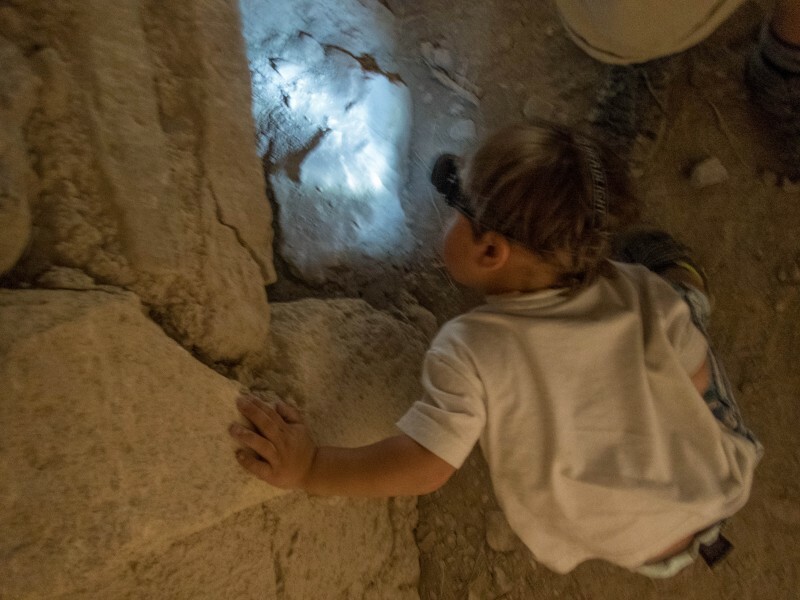 Later on we found out from the groundskeepers that we were actually inside a well and that after 375 steps we would have found a spring and a secret passageway that emerges outside the castle walls in the town of Shobak. So, lucky we didn’t follow it to the end as we hadn’t yet explored the rest of the castle. Walking along the castle perimeter we reached the Keep where you can see Quaranic inscriptions that were added sometime in the 13th and 14th centuries by Saladin’s successors. We were afforded amazing views of the castle layout. 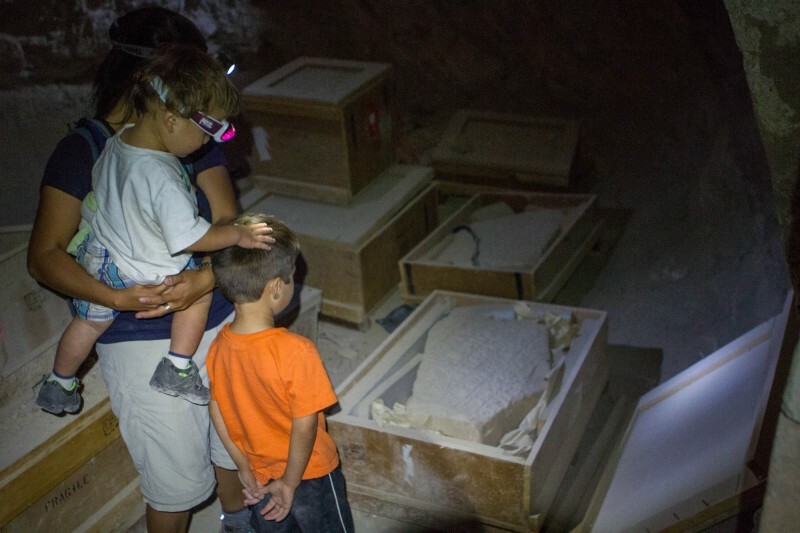 After stopping by to visit the second church, we came upon the catacombs where we saw some people documenting the artifacts that have been found on the site. From the catacombs, a short path led us back to the entrance. What a fun-filled day! In less than an hour we would reach Wadi Musa, the land of Petra. Little did we know at the time, that our day was not yet over. Oh, I think you took the right route alright. Amazing Pictures and Account of the trip. Enjoyed reading through. While of course the archaeological sites look amazing, I’m most fascinated by the mosaic process. I could’ve allowed them to take me in and apprentice. This is marvelous! It makes me think of planning a trip soon. What an amazing journey your family is living. I want to come along next time! It’s great your kids can see there great places in the world! 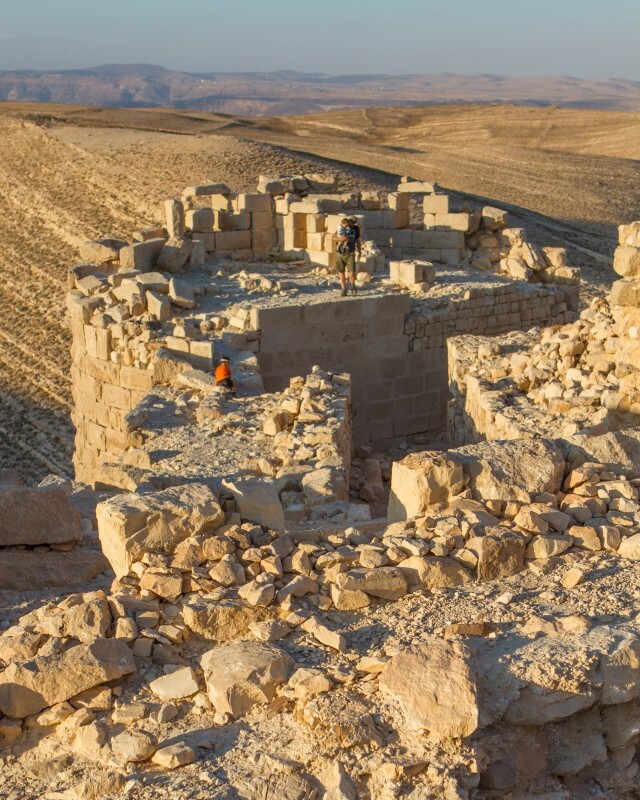 The ancient monuments in better shape than the fortress of Masada in Israel! Surely on my list! Thanks for sharing!